The first shortlist for the 2014 Coffee Spot Awards is the “Most Unlikely Place to Find a Coffee Spot” Award, won in 2013 by Attendant. 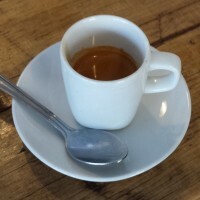 Finding Coffee Spots in cities such as London, Edinburgh and Bristol is to be expected. However, good Coffee Spots are everywhere, some of them are in very unexpected places, both geographically and in terms of setting. Vice is a coffee bar situated inside The Twisted Pepper in Dublin. Don’t be put off by the exterior, where it looks as if Vice is no more than a small collection of wooden tables in the lobby and don’t be put off by the fact it looks like bar at the back. Because it is. With excellent coffee! Veldt, on Glasgow’s Great Western Road, describes itself as the city’s only Scottish/South African fusion deli. It’s not somewhere I would have thought even to pop into, had it not been for an enthusiastic recommendation from Lisa, of Glasgow’s Dear Green Coffee.It probably helps that Dear Green supplies Veldt with a bespoke African espresso blend, giving it some of Glasgow’s best coffee. As regular attendees to any sporting event will know, getting good quality coffee can be a bit of a struggle. Even at Lord’s, the home of cricket, which leads the way in good coffee, the coffee’s not exactly what you’d call speciality. Unless, that is, you make your way to the prestigious Harris Gardens behind the pavilion where you’ll find that London coffee legends Kaffeine have moved in for major international matches. Suddenly the coffee at the cricket got a whole lot better! 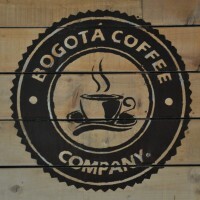 Milton Keynes is not somewhere you would necessarily expect to find speciality coffee, but what makes Bogotá Coffee stand out is the shear incongruity of the place. Set in the middle of Milton Keynes’ sea of concrete and steel, it’s an oasis of of wood, brick and natural warmth, topped off by some cracking coffee from Cirencester’s Rave Coffee Roasters, all of which comes from Colombia. Continuing the theme of finding excellent coffee where you don’t expect it is the Coffee Kabin. There is a house-blend from local Grumpy Mule & regularly-rotating guests on espresso & filter from London’s Workshop, Cornwall’s Origin & Berlin’s The Barn. Also nominated for the Coffee Spot Special Award. The first of two shortlist entries from York, what makes the original Perky Peacock at the Lendal Bridge stand out is the fact that it’s in the top of a medieval postern tower. 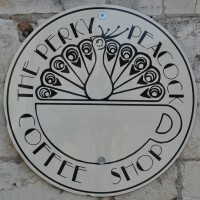 There’s always a danger that the location ends up doing the talking, but fortunately for those of us who appreciate such things, the coffee at the Perky Peacock is every bit as outstanding as the location! Also nominated for the Best Outdoor Seating Award. The second shortlist entry from York is Harlequin, a speciality coffee shop masquerading as a cosy tea room. However, having lulled the visitor into a false sense of security, Harlequin goes for the kill with coffee from Has Bean and hot chocolate from Kokoa Collection. A special mention also needs to go to the following: Strangers Coffee House (who knew Norwich had such a fantastic speciality coffee scene? ), The Wren (speciality coffee in a working church! ), Oxford’s Keen Bean Coffee Club (inside the Truck Record Store) and the (sadly now closed) Piccadilly Grind (on the underground concourse of Piccadilly Circus tube station! ).